Pride is politics, pageantry and partying all in one messy mix. The core notion that we are all deserving of love and should be free to express our love demands diversity. Fortunately, there really is something for everyone. We have compiled a list of notable events and festivals happening this month. For the sake of expediency, we have put them in four categories: Culture, Drag Queens, Outdoor Events, and Drinking & Dancing. Peruse the lineup, check the dates, click the links for times and tickets, and get your schedule in order. Molly Shannon as Emily Dickinson (l) with Susan Ziegler in Wild Nights with Emily at SIFF. In addition to parties, shows, and cabarets, there are screenings, performances, and readings throughout Seattle. Here are some notable ones. Seattle International Film Festival 2018 ends June 10, and we’re highlighting three very different films with homoromantic elements. Actress Molly Shannon (yes, the comedienne) portrays legendary poet Emily Dickinson in this biopic highlighting her lifelong romance with Susan Gilbert. It’s goofy and sweet and offers a touching, fresh perspective on the life of the reclusive Dickinson. DC-based singer-songwriter Be Steadwell sings music from her new Album, Queer Love Songs, using loop pedal vocal layering, guitar, and film. “This performance offers laughter, catharsis and a breath of fresh air,” says Gay City. Gerrard Conley was outed to his Baptist pastor father and sent to conversion therapy at the age of 19. His memoir, Boy Erased, captures those experiences and weaves a narrative of love that conquers all. Actor Lucas Hedges will play Conley in the upcoming film based on the memoir, but you can hear from Conley himself at this free reading and presentation of his memoir. Seattle Men’s Chorus is joined by singer and artist Prince Poppycock for a two-night British Invasion. Featuring music from 50 years of Brit Pop and Rock, including The Beatles, Queen, Elton John, Sting, Adele and more. 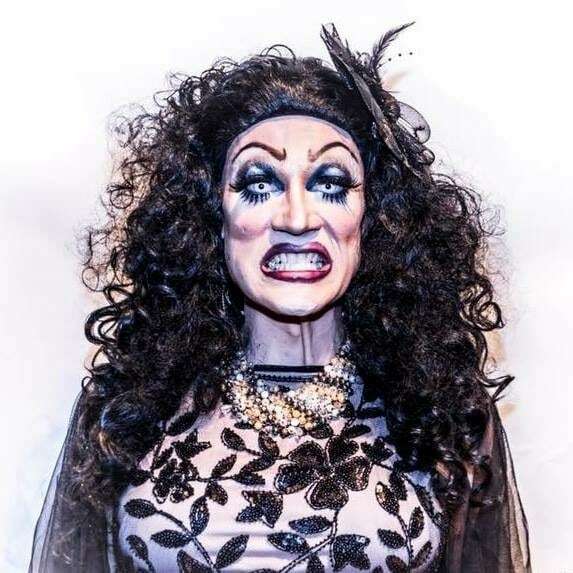 Catch Old Witch (winner of Miss Bacon Strip 2018) at the Timbre Room when she hosts a Golden Girls Tribute show. Oh mama, there are sooooo many drag events. 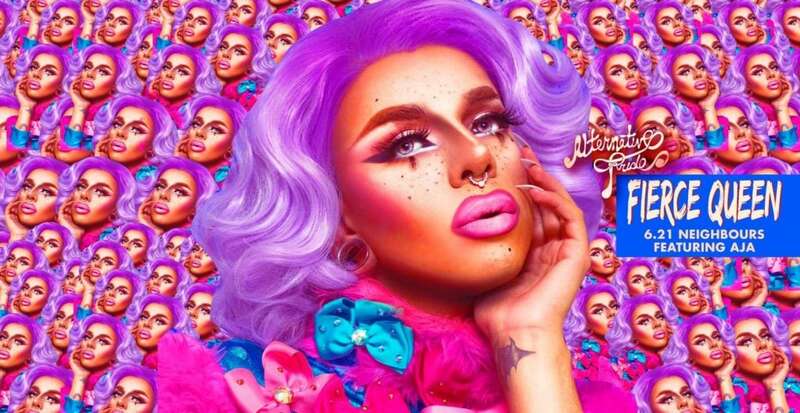 Even some of the nightlife events listed below have lots of drag advertised, but these are just the events that focus on drag performances as a cabaret, pageant, or stand-up showcase. See some newly minted stars from the Drag Race set, support your local queens, and get ready for some serious wig snatching. Cucci’s Critter Barn is a long-running showcase of monster drag at its finest in Seattle. Expect the grotesque and the glorious at the annual Critter Person Pageant. Drag Race All-Star Trixie Mattel brings her one-woman show to Seattle. They had to get a bigger venue than originally planned for this one based on the overwhelming demand. Get it, gurl. Drag Race Season X standout Miz Cracker takes the stage at Queer Bar for its first Pride Month. She just had a fabulous Top 10 in artworld uberglossy ARTFORUM, in case you want an early taste of her urbane wit. Local drag artist and nightlife impresario Arson Nicki presents her latest cabaret (the musical portions are lip-synced, natch) that gives a “peek behind the polyester curtain” of la vie boheme. Okay…technically not a drag queen, but she comes pretty close. Kathy Griffin has been to hell and back after posting photos with a severed head of Donald Trump. She has lived to tell the tale and tell it she will in her aptly titled new one-woman show. Four of New York’s finest, these queens need no introduction for drag aficionados. How will they pack that much hair, makeup, and personality onto one small stage at The Egyptian? We’ll just have to see for ourselves. Fresh local queens come out to compete and see who can be the fiercest for the judges, Hellen Tragedy, Android Allure and…very special guest judge Aja, everyone’s favorite voguing queen from Drag Race All Stars. Proceeds will benefit Gay City LGBT Center. We salute all the brave queens who will be sweating their faces off outdoors during Pride. At the enclosed patio of the Kremwerk Complex, they at least get a little shade…in a good way. Each afternoon of the official pride weekend in this party series is hosted by a different queen to help you get the party started fashionably early. Thursday: Americano + KYTE x Tony Burns. Friday: Harlotte O’Scara + Drake Forsyth x The. Saturday: Irene Dubois + MMMelt. THANK YOU FOR BEING A FRIEND! One of our personal favorites and recently crowned Miss Bacon Strip 2018 Old Witch and co-host Londyn Bradshaw are throwing a glittering tribute to everyone’s favorite retired foursome. Reminisce about St. Olaf, get the vapors, and go for the gold. Suitable for all ages, this annual gathering around the amphitheater near the reservoir features a full day of music, booths from local vendors and orgs, beer gardens and lawn games. The ticket special for Pride Night at Safeco Field offers access to an exclusive pregame event in the Outside Corner, light appetizers, and a wearable Pride flag. It’s Mariners against a team from just down the road (I-90), the Red Sox. Ra, ra, sissy-boom-bah. The gayborhood shows its true colors on the Saturday of Pride Weekend. 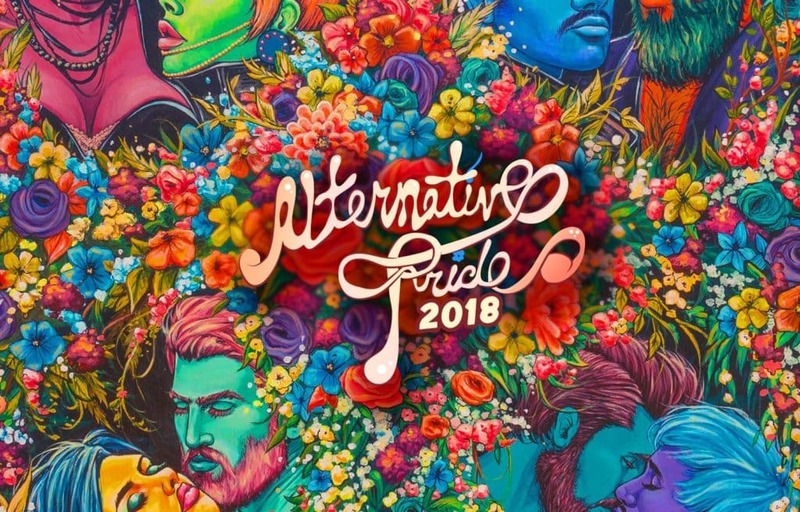 Starting at noon, PrideFest 2018 takes will encompass Broadway from John to Roy, as well as Denny Way and Cal Anderson Park for Family Pride and Queer Youth Pride. Two boats, one party. The Islander Yacht and The Spirit of 76 will float in tandem around Lake Union for an afternoon of beats and boozing on the water, hosted by Nark Magazine. The party starts at 1pm and sets sails at 2pm, for those who want to peep a little of the parade on Capitol Hill first before speeding down to the lake. Don’t miss the boat: If you plan to go, buy advance tickets, as these cruises have always sold out in the past. After a day in the sun, take a dip at one of Seattle’s best indoor pools, the Rainier Beach Community Center and Pool, just blocks away from the Rainier Beach Light Rail station. Seattle Parks and Recreation Aquatics Unit hosts this LGBTQ Pride Swim and all ages are welcome. Four stages with performances all afternoon. The International Fountain. Tons of vendors and beer gardens. Seattle Center is the biggest party in town after the Pride Parade through downtown Seattle. Bring your beach towel and chill on the lawn with your besties before running out for one last night of debauchery, school night or not. The Kremwerk Complex Patio. Photo by Tyler Hill, via Kremwerk. The first pride was a riot. It was a bunch of drag queens, transwomen, and people of color pushing back against oppressive (and sadly, at the time, legal) discrimination by police. And it all started at a bar. Not that we needed another excuse to go enjoy a good cocktail on the town, but during Pride, it’s practically a sacrament. The late night queer extravaganza Rapture encourages guests to dress up, pose in specially designed photo booths (unique each month), dance their butts off, and see great performances—every second Saturday. If you haven’t checked it yet, now would be a perfect time. No link for this one. Get your tix at the door. Bonus: If you go to the Critter Person Pageant mentioned above, you get a little discount on your ticket for Rapture. Every third Saturday is MEAT at Pony. The aggressively gay decor at Pony is already replete with dicks and dudes, and MEAT amps the vibe up even further. Hawt dawg. 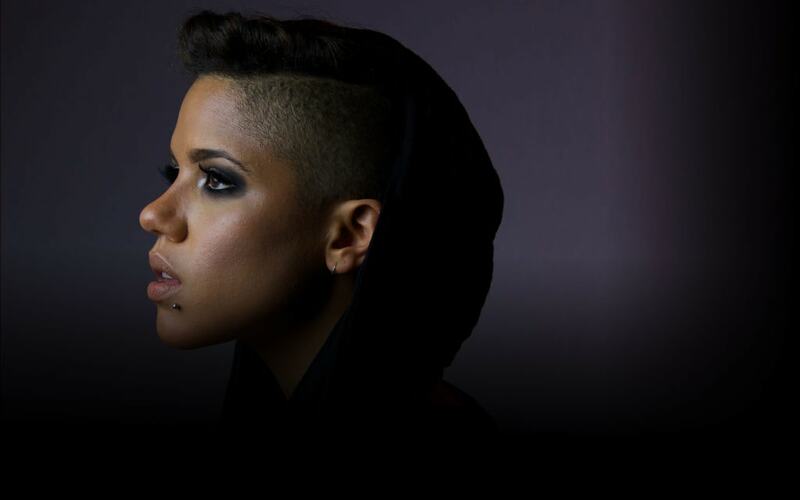 SF-based queer rager Swagger Like Us takes over Neumos with acts from TT THE ARTIST, UNIIQU3, Toya B., DavOmakesbeats, DJ JiBBZ and Kelly Lovemonster. A true warehouse rave: For those who want to go all night, prepare yourselves. 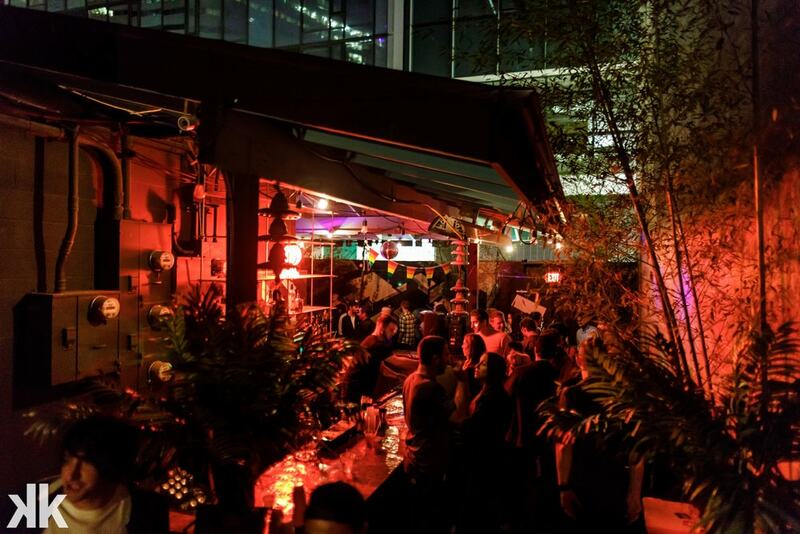 Starting at 11pm, June 22 and going until 6am on June 23, the secret location will feature three rooms of sound from regional and international DJs. (The location will be revealed the day-of by emails and direct messages to ticket holders.) See the packed lineup on the Facebook event page. The other big party series is at Kremwerk Complex. The most badass nightclub in town is an absolute hotbed of avant-garde music and queer entertainment. You can get a festival pass for all-access fun the entire weekend. Kremwerk is between Capitol Hill and Downtown, so whether you make it your Pride HQ or just want to party wit the drag queens on their patio one afternoon, it’s easy to get to yet feels like a special, hidden queen Eden. We have already highlighted several events from this series above, but here’s one more. Two Raptures in one month!? Happy Pride, indeed, and this special edition is a doozy. Breaking out from the Timbre Room into the main space of Kremwerk, the featured guests this time are dancer, performance artist and bioqueen Cherdonna Shinatra and PDX-based alien drag creature Hydrangea Strangea. The special photo booth this month will be designed by Miss Texas 1988. If you are still standing by late Saturday night and want to keep going until sunrise, get down to Kremwerk. (FYI: This event is separate from the Kremwerk festival pass if you spring for one of those.) This one doesn’t start until 2am and ends at 8am. Free water is provided to keep you hydrated as you dance the night away. You’ll be delirious by the time the mimosas come out at 6am—a perfect state of mind for the off-the-wall dra performances by Amoania, Cucci Binaca and Kunsten Dunst. However you plan to spend your Pride Month, we wish you the best yet, Divaland. We’ll be featuring personal guides from some of our team members, including the one and only DonnaTella Howe. Stay tuned!